mongoaudit: A MongoDB Auditing and Pentesting Tool — Secure your Mongo installation with this security testing tool that looks for misconfigurations, known vulnerabilities, etc. The Liberation of RethinkDB — Back in October we sadly reported the company behind RethinkDB was closing. The project, however, lives on, as explained here. Superset: How Airbnb Scales Data Access and Visual Insights — Now open sourced (GitHub repo), Superset is a powerful data exploration platform. The animated GIFs on its README show off the potential well. 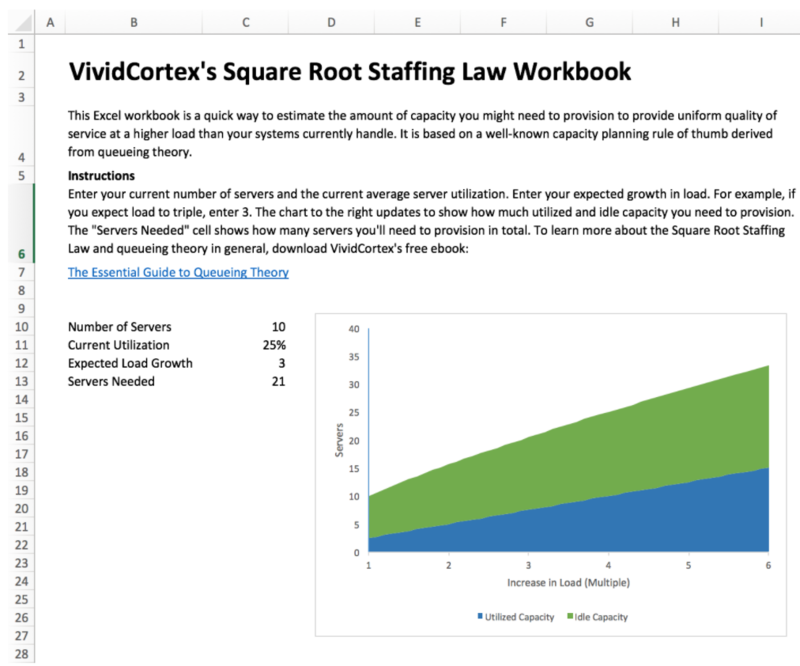 [Free Tool] Square Root Staffing Law Workbook — This free Excel workbook uses the square root staffing law to estimate the amount of capacity users need to provision to provide uniform quality of service at a higher load than their systems currently handle. Here's How Evernote Moved 3 Petabytes of Data to Google's Cloud — Last year Evernote decided that it wanted to move away from running its own data centers and start using the public cloud to operate its popular note taking service. Building A Serverless App with A Serverless Database — FaunaDB claims to be ‘the first truly serverless database.’ An odd claim, but this will help you see how it works. Joining A Billion Rows 20x Faster Than Apache Spark — SnappyData is an open source in-memory platform built on top of Spark. Here it’s claimed it can benchmark 20x faster than Spark at joining two columns over a billion rows. PostgreSQL 9.6.2, 9.5.6, 9.4.11, 9.3.16 and 9.2.20 Released — This group release includes fixes that prevent data corruption issues in index builds and in write-ahead-log replay situations, and patches over 75 other reported bugs. Wanted (Badly): Big Data Engineers — A report ‘confirms surging demand for data scientists, engineers and analysts’. Put your DB into overdrive on Linode’s SSD servers. — Whatever your preferred DB, get better performance by loading it on Linode. Use promo code DB20 for $20 credit. Building a Performant API using Go and Cassandra — A walkthrough of building a RESTful Web API that uses the Cassandra NoSQL database. Indexing in an Actor-Oriented Database [PDF] — An academic paper. Exactly Once: Why It's Such a Big Deal for Apache Kafka — “exactly once guaranteed delivery of messages” is coming to Kafka soon. — Flexible enough to handle OLAP & OLTP workloads. Horizontally Scalable with all the features of PostgreSQL. RavenDB Embedded at Massive Scales — An open source .NET NoSQL database. Go Data Science with Daniel Whitenack [podcast] — Daniel Whitenack explains the workflow of a data scientist and discusses why Go is suited to it. Advanced SQL Recipes — A (growing) compendium of advanced SQL tricks you can adopt to jump-start your next analysis.